Dr. Arpei-McHugh is Invisalign I orthodontics certified. This is certification to use the invisalign anterior product to align the anterior or “front” teeth in the mouth. If additional tooth movement is required, you will be referred to an orthodontist specialist for further consult. INVISALIGN…The invisible way to straighten your teeth without braces. To discuss clear braces, please feel free to contact us to schedule an appointment. The aligners are made through a combination of Dr. Arpei-McHugh ‘s expertise and 3-D computer imaging technology. As you replace each aligner with the next in the series, your teeth will move – little by little, week by week – until they have straightened to the final position Dr. Arpei-McHugh has prescribed. You’ll visit Dr. Arpei-McHugh as needed to ensure that your treatment is progressing as planned. Typical treatments require visits every few weeks to monitor progress. 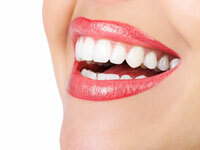 A retainer is recommended for retention of the new teeth position and alignment once treatment is completed. Dr.Arpei-McHugh will discuss with you recommendations regarding your specific treatment and case. There are several different options available for retention of orthodontics. Some of these options include a clear plastic retainer, a retainer with a wire, or a wire bonded to your teeth. Some cases are too complex for the use of Invisalign I for anterior teeth (front teeth) and require a referral to an orthodontist specialist for complete orthodonitc treatment. This may include traditional wire and bracket braces, orthodontics, or advanced Invisalign use that requires movement of the posterior or back teeth. Dr.Arpei-McHugh will discuss with you her recommendations at your consult visit.